Healthy, quality vegetable seed is the foundation for any crop grown for home consumption or for urban or rural markets. 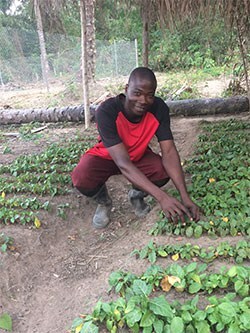 WorldVeg develops improved vegetable cultivars — one of the cheapest, simplest and most effective vegetable production technologies to help farmers cope with increasing climate variability. Our heat- and drought-tolerant varieties yield well under tropical conditions and provide resistance to newly emerging pests and diseases. Our breeding programs aim to develop cultivars that produce fruit or leaves able to withstand rough postharvest handling and meet the quality and nutritional requirements of markets and consumers. Major breeding successes include the development of high-yielding, heat-tolerant tomatoes and brassicas, which has improved the profitability of these crops in the tropics, and the development of multiple disease resistance in tomatoes, peppers, cucurbits, onions, mungbean, soybean, and eggplant. The Center’s improved mungbean varieties revolutionized the industry, and are planted on millions of hectares throughout Asia. The Center’s high beta-carotene tomatoes provide 3 to 6 times as much vitamin A as normal tomatoes, so that a single tomato provides a person’s daily vitamin A needs. Processing tomatoes are being bred for high lycopene and high solids content, jointless pedicel, and concentrated fruit set. WorldVeg currently has active breeding programs in tomato, sweet pepper, chili pepper, onions, vegetable soybean, mungbean, urdbean, pumpkin, bitter gourd, and cucumber. Selection programs are improving the quality of indigenous African and Asian vegetables, including amaranth and African eggplant. Our breeders contribute to enhancing knowledge of the genetic basis of important traits and use such knowledge to improve the performance of a range of vegetable crops of regional or global significance. Traits include tolerance/resistance to a range of biotic and abiotic stresses that are becoming more erratic and prominent due to climate change, and enhancing shelf life because of the perishable nature of vegetables. Selection for improved nutrient content and quality is an important part of WorldVeg breeding programs. WorldVeg maintains strong linkages with the private seed sector to facilitate scaling of products and to get feedback on uptake and performance. The Center has had a long-term focus on developing heat-tolerant tomatoes, chilies, and sweet peppers with multiple disease resistance. 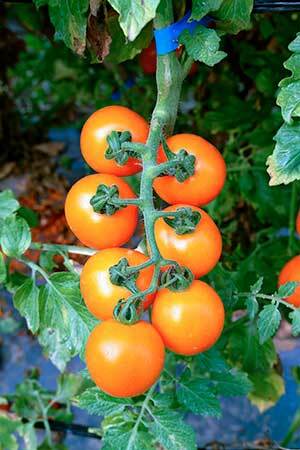 Both conventional and molecular breeding methods are used. Breeding work aims to develop short-day red and yellow onions with improved yield, extended shelf life, and Stemphyllium resistance; heat-tolerant broccoli; more nutritious vegetable soybean; mungbean with improved flavor; and disease resistant pumpkin and bitter gourd. Cucumbers with improved horticultural traits are being bred with improved disease resistance, good fruit quality, and high gynoecy. A range of traditional vegetables with superior horticultural traits and disease resistance have been tested and developed in Tanzania. We are also developing Capsicum chinense lines resistant to Pepper veinal mottle virus. The Center has developed nurseries for global and regional testing of vegetable lines under diverse environments. Work is continuing on the exploitation of male sterility to improve the efficiency of hybrid vegetable seed production.